Coal was imported mainly from Russia. In 2017, Ukraine imported 19.8m tonnes of coal worth 2.7bn dollars, according to the State Fiscal Service. 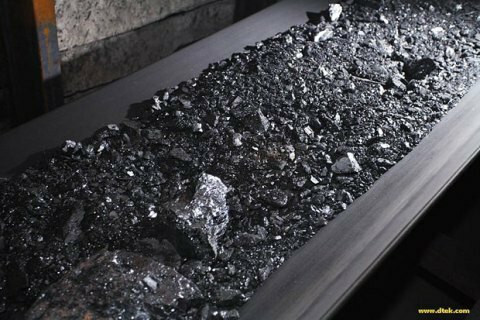 Last year, Ukraine imported 19,777,741 tonnes of coal as coal stone, anthracite, briquettes, pellets and similar solid fuels derived from coal worth 2,744,062,000 dollars. The coal from Russia accounted for 56.57 per cent of coal imports (1,552,196,000 dollars), from the USA 682.014m dollars (24.85 per cent), from Canada 182.2m dollars (6.64 per cent), from other countries 327.653m dollars (11.94 per cent). At the same time, Ukraine exported coal mainly to Russia to the tune of 57.475m dollars (54.48 per cent), Slovakia 41.527m dollars (39.36 per cent), Turkey 2.566m dollars (2.43 per cent), to other countries 3.927m dollars (3.72 per cent). Ukraine began importing coal after losing control over parts of Donbas. The country is 100 per cent dependent on the imports of energy anthracite coal. In 2016, Ukraine imported coal for 1,467,090,000 dollars, while exports amounted to 44.762m dollars.